Please design a graphic (optimized for view on mobile devices) of the attached images. I have created a very rough idea of the page but I would like you to make a better version. You don't need to follow the design of the current page, as long as you list all of the things we provide. 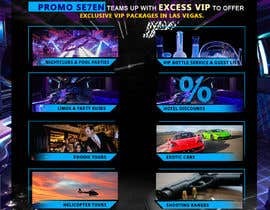 Also, please improve the section at the top that says "Promo SE7EN teams up with Excess VIP to offer exclusive VIP packages in Las Vegas. 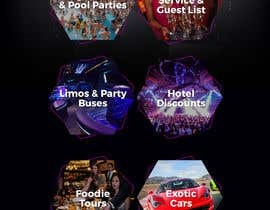 If you'd like to sign up for guest list click here for any pool party or here for any nightclub. 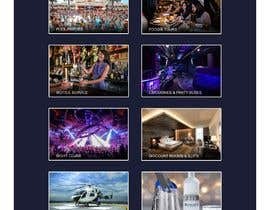 *Only available to parties with an equal or greater number of ladies*"
The current page can be seen at [login to view URL] The website is created on Joomla. Please let me know if you have any questions. hi sir what exactly do you need please clarify everything and message me so we can discuss the project. I have made a rough draft of what the page should look like. I need you to improve the design and make sure it's optimized for mobile. I don't know the dimensions. It's for a web page and should be optimized for mobile devices.